A trip to Tashkent will allow you to experience an eclectic mix of traditional Uzbek culture, 20th Century Soviet style and the ever-growing atmosphere of modernity. Once an important point of the Silk Road, and today the largest central Asian metropolis, a visit to Tashkent will provide you with an ideal opportunity you to explore the finest of Uzbekistan’s rich, millennia-old heritage. The beautiful, blue-domed Amir Timur Museum is a stunning architectural feat that is dedicated to the Turco-Mongol conqueror, one of the most important historical figures of the region. Uzbekistan State Museum of History is an appealing architectural fusion of local and Soviet style. It houses over 250,000 artefacts originating from central Asia. A true oasis in the middle of the city, the Tashkent Botanical Garden is a harmonious collection of over 4,500 species of flowers, trees and other plants. It is ideal when you need to escape the hustle and bustle of the urban center. The intricately ornate State Museum of Applied Art dates back to the early 20th century. Today, it hosts some of the finest examples of local applied art, including embroidery, carpet weaving and jewelry making. The most convenient way to get around the Uzbek capital is by metro. The city has three lines, which cover most of the sightseeing areas. Furthermore, riding the metro will give you a chance to see the grand, lavishly ornate Soviet-style underground stations. Uzbek is the official language is Tashkent; however, you will find most people and businesses communicate in Russian. Summers in Tashkent (especially months of July and August) tend to get very hot, while it’s not unusual for temperatures to drop below zero during winter months. 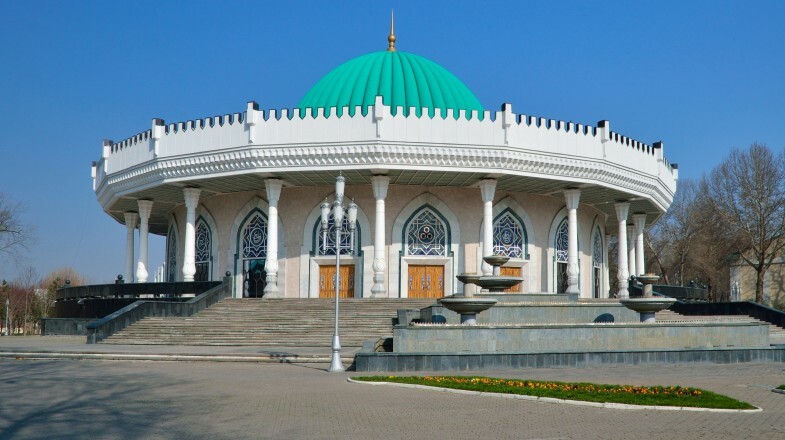 Therefore, it is advisable to visit the Uzbek capital during spring (April to June) or early fall (September to mid-October), when the weather is moderate and ideal for sightseeing.